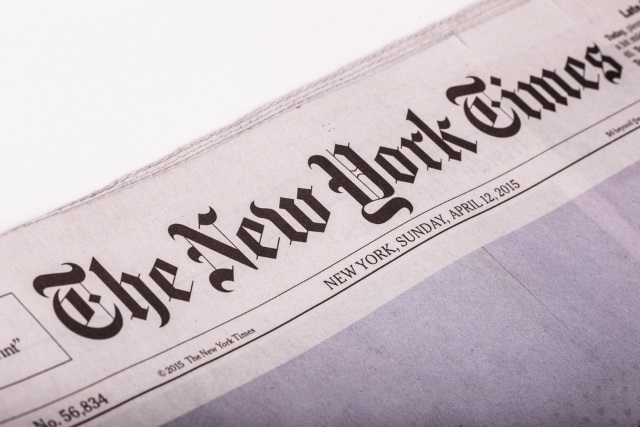 The New York Times has announced that it is launching a Tor Onion Service version of its website. The new, more secure way to access the site will open it up to people around the world whose internet connections are blocked or monitored. It also caters to a growing breed of people who are concerned about what their web browsing habit might reveal and who have turned to Tor to protect their privacy. The new service is described as "experimental and under development," and some features of the website -- such as the ability to comment -- do not work. The NYT warns that fine-tuning of performance and features may mean there are periods of downtime, but the long-term aim is to completely replicate the main website as an Onion Service. The New York Times reports on stories all over the world, and our reporting is read by people around the world. Some readers choose to use Tor to access our journalism because they're technically blocked from accessing our website; or because they worry about local network monitoring; or because they care about online privacy; or simply because that is the method that they prefer. Tor users can access the new site at https://www.nytimes3xbfgragh.onion/.